Learning about mental health can help develop awareness and understanding. 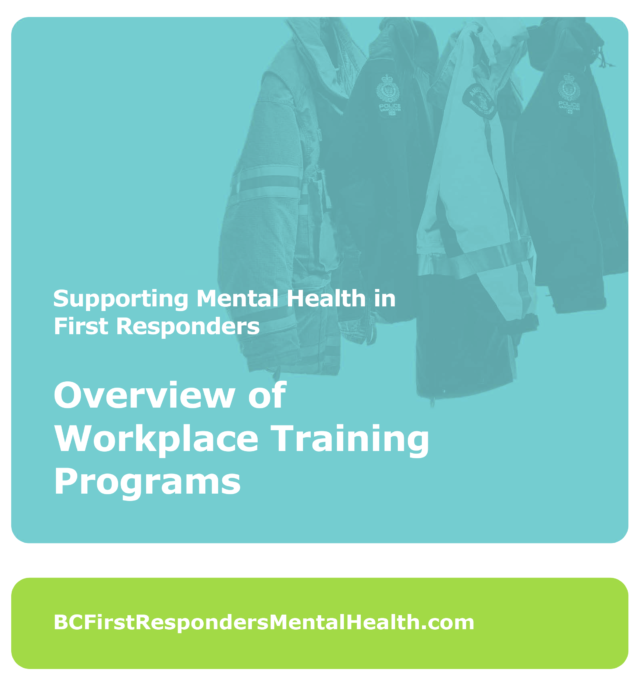 Here are some mental health training resources, including courses you can take to learn more about strengthening your own mental health, as well as courses that cover how to better support mental health in your workplace. There are several organizations dedicated to supporting first responders and their families with mental health issues. Find out what resources are available to you.